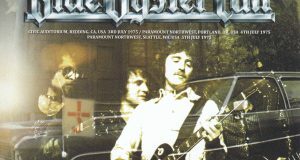 A transcendent stereo sound board album symbolizing Cozy Powell era is reprinted. It is ultimate specification permanent preservation press 2CD conversion decision. 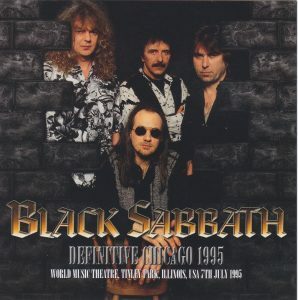 It is recorded in such a work “July 7, 1995 Tinley park performance”. Yes, the famous board of Langley label “BLOODY WIZARD” is the ultimate sound board recording brushed up. This week, the Super Board sound board “Coincident era” DEFINITIVE VIENNA 1989 (Zodiac 324) will also appear. So this is a good opportunity, let’s organize the collection of soundboard / proshot of the Cozy era here. Over, 7 shows from 3 tours. “HEADLESS IN RUSSIA” only multi-camera shots, but all others are sound board albums. In our shop, we have introduced everything in press and title. The Chicago performance of this work is the latter term among them. It is exactly “Cozy SABBATH last sound board”. It is more than such historical value, super superb quality that is too terrible. Even if you say soundboard to a single mouth, the variety is different, but this work is what the so-called officials run off. Unlike broadcasts and officials, it is recorded directly from the sound board table, and if the mix is ​​also a vivid scene balance, the cheers are recorded far and small. Therefore, although I can not hope for a work feeling like the official live album, I will transcend the official as a record of live performance. It is filled with the vividness of one reprint that does not allow any replacement, and a direct sound of a do-like class that pierces the plug directly into his head is poured. There is not realistic feeling at the concert venue because you can hardly hear cheers, but the sense of sync by the band does not allow you to follow. These characteristics are common to the desk system, but this sound board is a superb finished product among them. Although such super-superb soundboard first was able to be tasted even by “BLOODY WIZARD” already, this work is the ultimate board which further refined it. First of all, the biggest point is the full show! Actually, the biggest drawback of “BLOODY WIZARD” was the missing of three recordings. The first one is the beginning. From the opening scene “Ave Satani” to the first song “Children of the Grave” riff up to 20 seconds. The second part is in the middle stage, the climax part of “When Death Calls” is about 1 minute. And at the end there was not an entire “Paranoid” from the end of “Iron Man” ‘s ending 10 seconds. This soundboard will be what the on-site staff recorded with freakiness, and the cut part does not have the recording itself in the first place. This work supplements such lost part with audience recording. Originally, supplementation at the same show is desirable, but unfortunately the show of this show is similar to the sound board of the main volume but not quite similar. Therefore, this work adopted the superb audience recording of “New York performances on July 10, 1995” three days later. This complementary master is an ultra-superb audience that is said to be one of the best in all history of Sabbath, a so-called “sound board” type. The full length version is also loved as masterpiece “DIE AND FLY (Power Gate – 262)”, but this work got its new upgrade master. Furthermore, it connects seamlessly as close as possible to the main part sound board. Even in Sabbath’s whole history, it is a name recording of a do-it-yourself, so realizing a finish without a sense of incongruity. If you listen to this work you can not believe that it is a different performance for the first time in a very short period of time (it is also evidence that you have done a stable show each night so much). And the important soundboard is also brush up. Of course, useless meaningless sound pressure production is not done. The Omoto master was also excellent, but the balance is for the field PA only, civilian audio is not taken into consideration. As a result, the peaks of each range popped out as if they pierced, and with headphones etc. it was not easy to listen a little (although it is strangely a high-level dimension). This work organizes such a large original sound for each range. Keeping the desk directly connected with life and genuine sounds, realizing a well-balanced, easy to listen even more civilian audio. 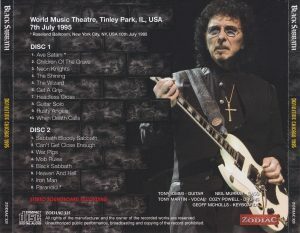 Listening is a heap of heights such as ‘The Wizard’ and ‘Sabbath Bloody Sabbath’ which can not be listened to the famous songs of style Sabbath, “HEADLESS CROSS TOUR” and “TYR TOUR”, precious “FORBIDDEN” number of existence and so on. However, the quality is even more amazing. It’s too amazing. Beyond the band of 1 band anymore, it is one sample with a vertically sound like a sample of a desk cabin direct soundboard. 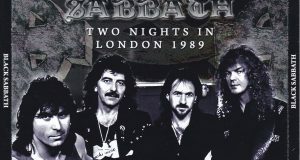 With that sense of close contact with you, you can sync with Tony Iomi, Tony Martin, Cozy Powell, Neil Murray. There is not this bad husband. It can not be great! 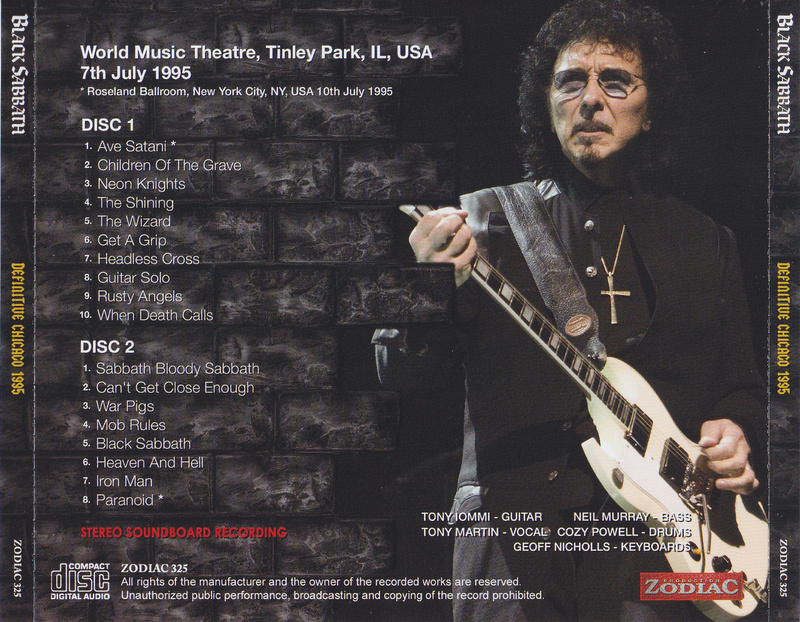 Aside from the studio album “FORBIDDEN”, ​​Koji SABBATH’s super name board sound board as ever staged in the stage. Please, enjoy with the press 2CD altogether.